Well what has the year so far had in store for Sweet Pea. It started off with lots of thoughts for the year ahead as we all think about goals we want to achieve for many parts of our lives. I started by taking part in RED January, to run, walk or jog every day throughout the month to raise money and awareness for the charity MIND. I managed to raise £600 which I was really pleased with. Along side this, which kept me going throughout the chilly January days, new creations were taking place. After much interest in my 'little squares of prettiness' at the Christmas Market, The Roundhouse, Derby, I had a few commissions and a new range for the new year. I also made the decision to select a few original watercolour paintings and have prints made available. These too have proved to be popular and two of my illustrations have been added to the print collection. The winter months were very cold but plans to enjoy a weekend in Bristol for my birthday lifted us all and was very inspiring. 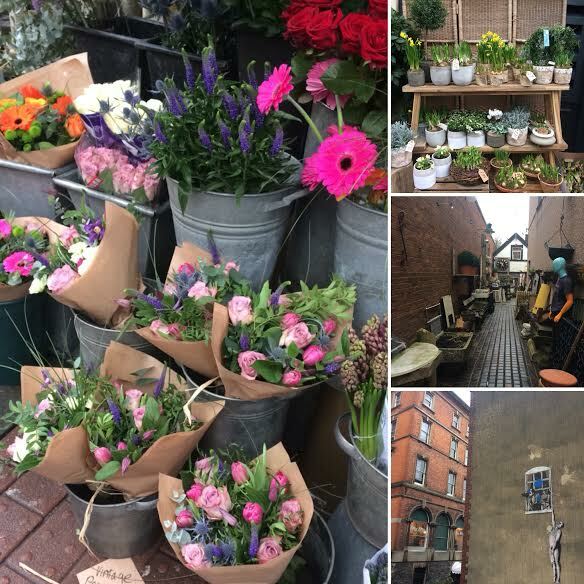 Such a quirky city, fab flower shops, vintage finds, amazing street art everywhere, great views and loved the colourful rows of houses. 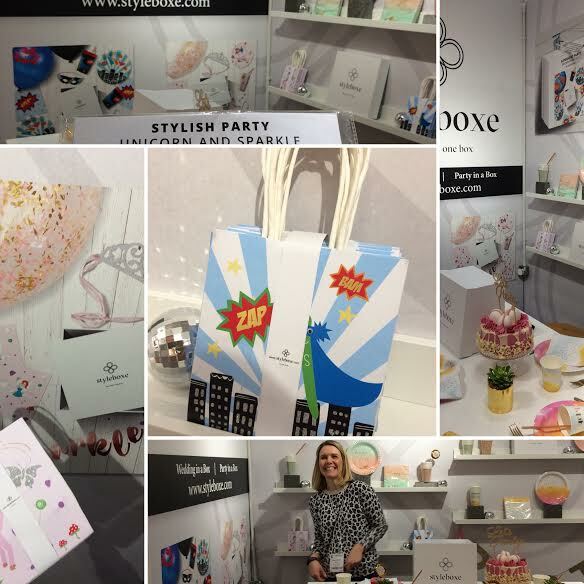 In early Febuary, Styleboxe invited me to the NEC's Spring Fair to see the showcasing of my range I assigned for their children's party wear. Last summer Styleboxe approached me and I was blown away with the high quality of the finished products and how fantastic the stand looked. Becky did amazingly and I continue to lease with them through the journey the products are taking and with new ranges in the future. So whilst the snow was falling and the days were so very cold, I have been busy creating in my country home ready for the Spring Market at The Roundhouse, Derby. This year is now my second year with Deb at Fabulous Places. Plans for new products for the spring event were well under way with many trips to the printers with my new friend Nathan! So whilst preparation was going well so was my social media Instagram in particular. I have sold quite a few pieces through Instagram and have a few dedicated followers who are displaying my work in their homes and purchasing gift for family and friends. If you see any of my work I post and like the look of any pieces, if you direct message me I can reserve the piece for you. March the 10th the Spring Market, The Round House, Derby took place, a week late due to the snow but well worth the wait. This year I was in the library and did the best yet at this event. I was over the moon with the feed back from customers. My prints were really popular and went down really well. I have had many request since too and have more for the next Market. I was busy all day and met some lovely new customers too. I think being part of this particular event means I can push myself a little more and its always nice to chat to my customers. Working from home is wonderful but to interact with others and receive feedback is always interesting. 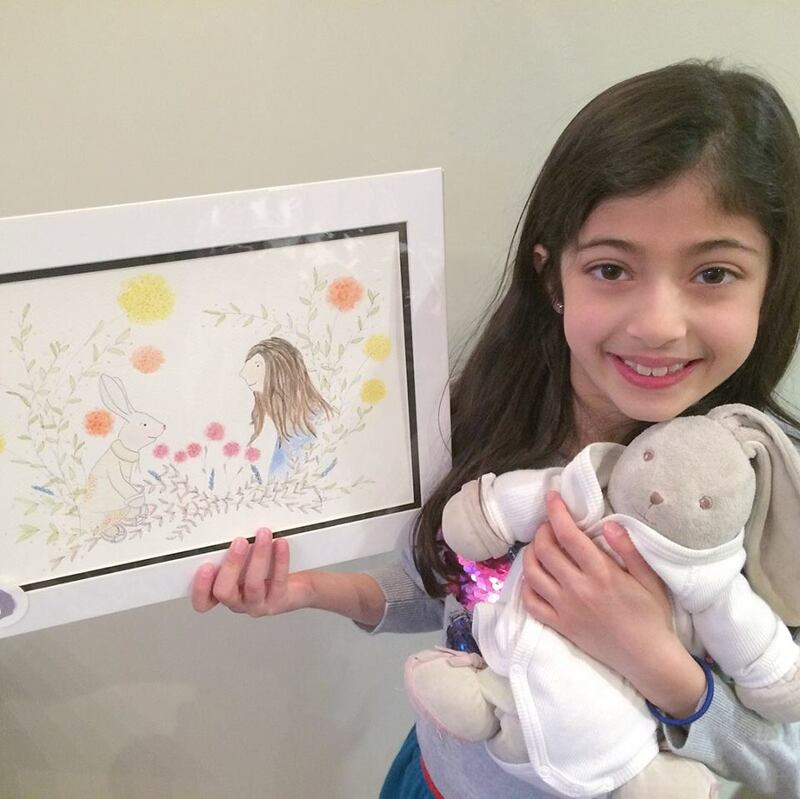 I often receive interest in commissions and mid March I was asked to produce an illustration of a little girl with her favourite cherished rabbit. After a few chats, meet ups I created this watercolour illustration. The Mum and I had been talking about it for some time and so once I delivered the piece and we saw her daughters reaction, we were both very pleased. Commissions are something so special to that individual person so always nice to whitness a lovely reaction. April became a very creative month with quite a few days out to gardens, art galleries and taking part in workshops. RHS Garden Harlow Carr is well worth a visit and the willow sculpture there is fantastic. Two boxing hares, a bee, spider and the BFG! The Hepworth Gallery is such a source of inspiration before you have even stepped into the building. The architecture is very powerful and once inside the experience is great to look around. I think its good to step out of your environment sometimes and look at others work or work with other mediums. Ive always loved visiting Yorkshire Sculpture Park and for my Mums 60th birthday she and I attended a Chris Moss wire bird sculpture workshop. It was interesting to effectively draw with the wire to create the shapes. Thinking about the form and movement of the bird. I came home buzzing after that day. Its important to keep doing what you love. And in the last few weeks I have been producing a new range of Grey Hares for my little squares of prettiness. I have also illustrated four new prints that will soon be available on my website. On the 1st of July I will be at The Roundhouse, Derby for the Summer Market with Debs from Fabulous Places and a few new events. After a little thought, I have been to a few fairs to do a little research into were Id like to see Sweet Pea designs grow and if I am taking my little business in the right direction. So I will keep you posted on news. After a well deserved summer break with my family my thoughts were aiming towards the Christmas Fairs. My goal this year was to take part in the Spring Market at the Roundhouse, Derby with Deb. Im so pleased to have been with the Fabulous Places markets for a full year now. I have met some lovely stall holders and now have some great customers too. One of my other goals alone side running my own business has been to renovate a home with my husband which we have done. But as you know the finishing touches always take just a little longer but boy do you appreciate it when they arrive. 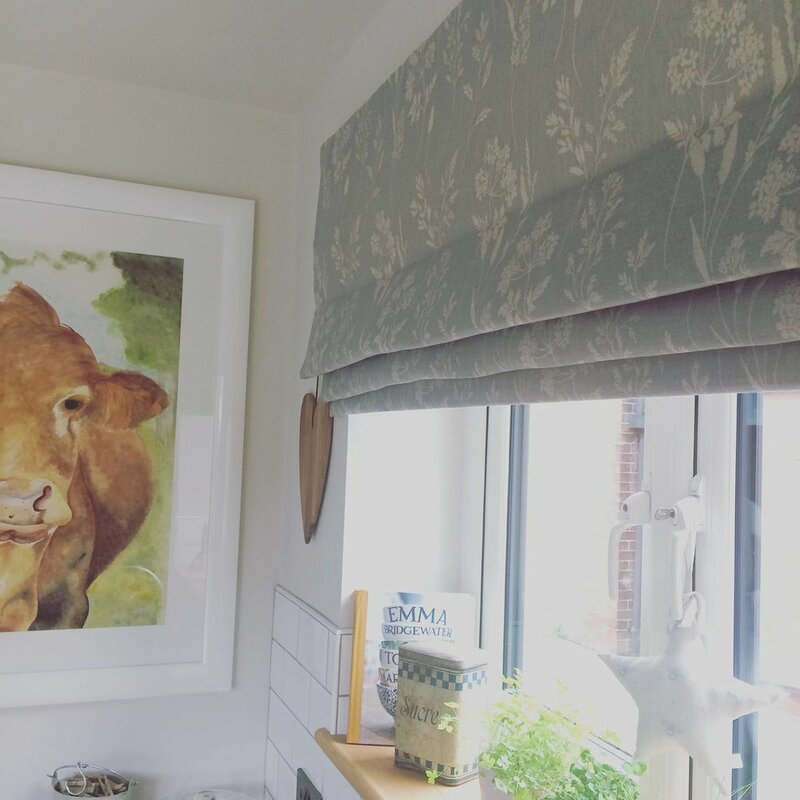 I like to support other local businesses and artist/makers when choosing blinds, carpet, accessories or just those lovely little finds. So for some time my husband and I have had rails and ikea bags as our wardrobes and we are now excited because we'll be having bespoke wardrobes very soon!! At this point in the year I have been inspired after a good rest and have started on a few new creations. My love of the countryside and the farm animals I paint I've wanted to incorporate the natural finds I also enjoy to collect on country walks. Including these in my work to produce accessories for the home. I love the natural colours, textures and I have collected the dry grasses in particular from hedgerows and pressed them into the air drying clay in which I use. At my events this year I have displayed the grasses in a jug and also do this at home. Customers have liked it so much they have wanted to purchase them!!! Since creating these new accessories I am now stocking at The Little Shed, Allestree. Annie has been very supportive and displayed them really nicely throughout the shop. I continue to create the clay shapes with words and you can order your personalised ones too through my website. 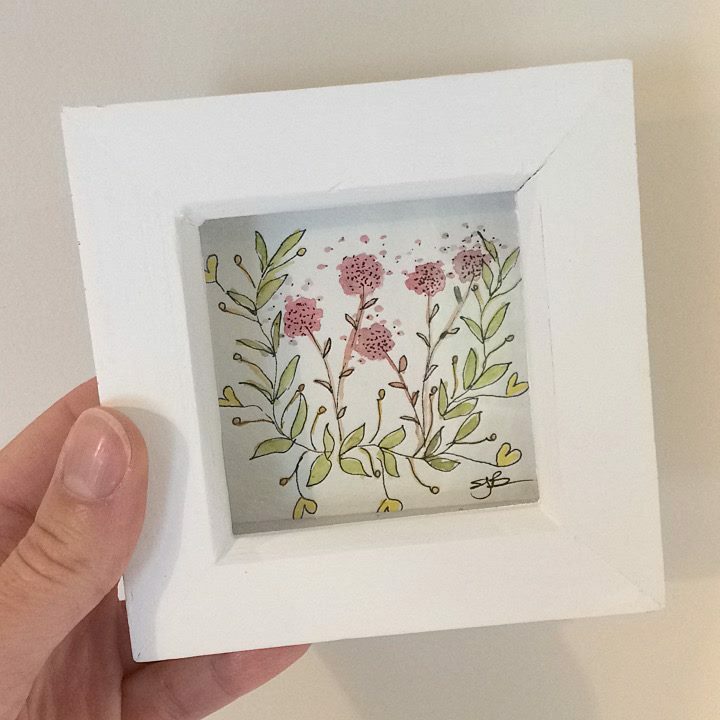 So from this I have then combined my illustrations, with my watercolours and hedgerow finds to produce these one off mini pieces. Ive had so much positive feedback, good sales of them too and requests for them this year already. Orders on any of the work that you see is very welcomed, personalised, for a particular event or with a particular colour/theme in mind. Each of the pieces are individual, hand created for you. 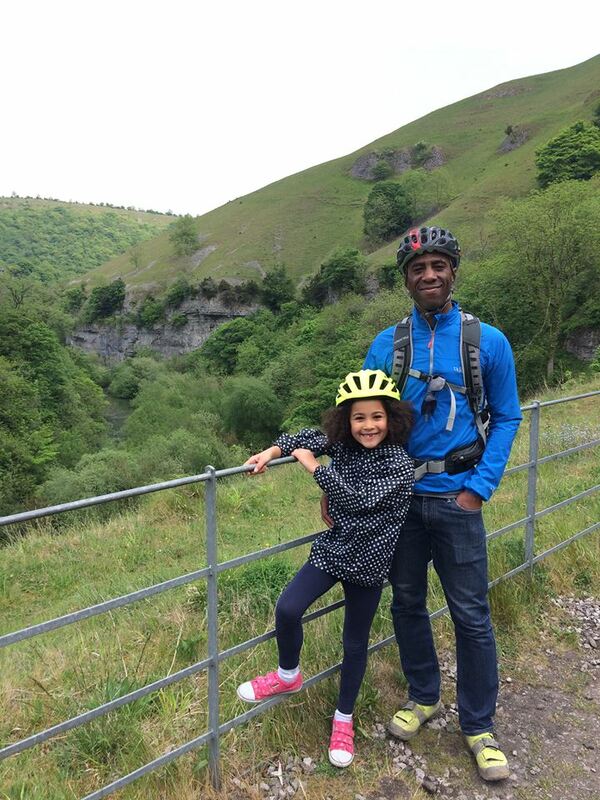 In October half term my little family took a break for a few days to The Lakes. It was very wet, as expected but great to see, go for a walk or two and potter about the shops. We also explored the world of Beatrix Potter which my little one loved. Back home orders were being completed and thoughts on my first Christmas event, stock, setting up, display ideas. The Christmas market was my first two day event and went really well. Great feed back, work sold and commission taken. Having only a goal to attend one event yet took part in three, I have been really pleased this year with how well I have done at The Roundhouse. After the Christmas event with Debs I attended the three day Christmas fair at Swarkestone Garden Centre. I had to wrap up warm standing in a large green house in November but worth it. I shared the stall with my friend Jan who does pyrography and met some new stall holders and lovely new customers. Above, bottom left, is the commission of a family dog as a surprise Christmas present. I was really pleased with it and I think it went down well! So after a very full year with lows and highs throughout, I feel really pleased with the direction that Sweet Pea Designs is growing. Having started the business 16months ago Ive achieve far more than I expected with the fantastic support of my friends and family. Im looking forward to what 2018 brings for the business, with many more ideas, fairs to attend and opportunities to share. Thank you to all those that follow me on social media and a happy new year to you all. Well its been a busy last few months for Sweet Pea Designs, quite a few different events happening, commissions, new projects and opportunities. Fabulous Places Spring Market event at the Roundhouse, Derby went so well in March that I was given the opportunity to attend the Summer Market in July. It was so lovely to see some familiar faces and meet more of the other stall holders. I feel apart of the team already after just two events and am really pleased to announce I will be at the Christmas Market too. Just before the Spring Market I was contacted by a new client to design her business logo. What an opportunity and these designs will be used, not only on her website and paper work but also her gorgeous wool throws. Kate is so lovely and I have really enjoyed getting to know her. 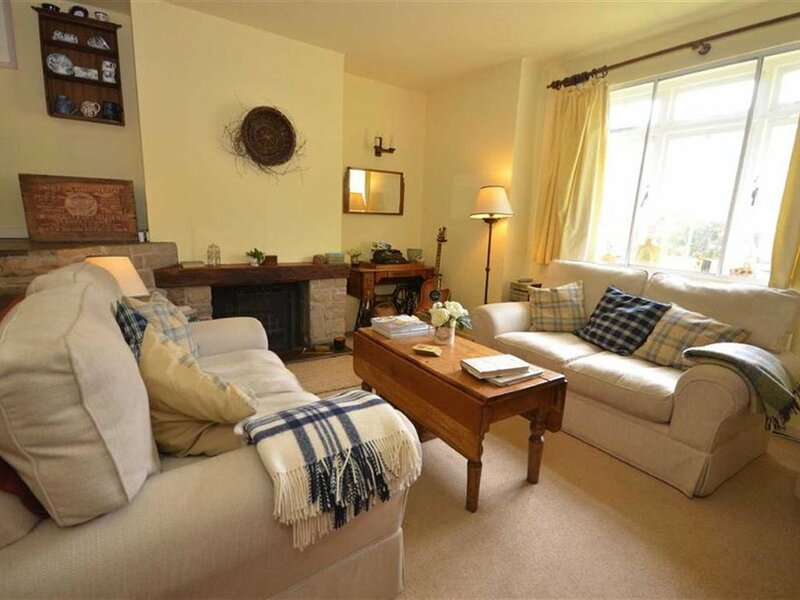 Visiting these like minded clients in such inspiring country homes is one of the joys of my business. 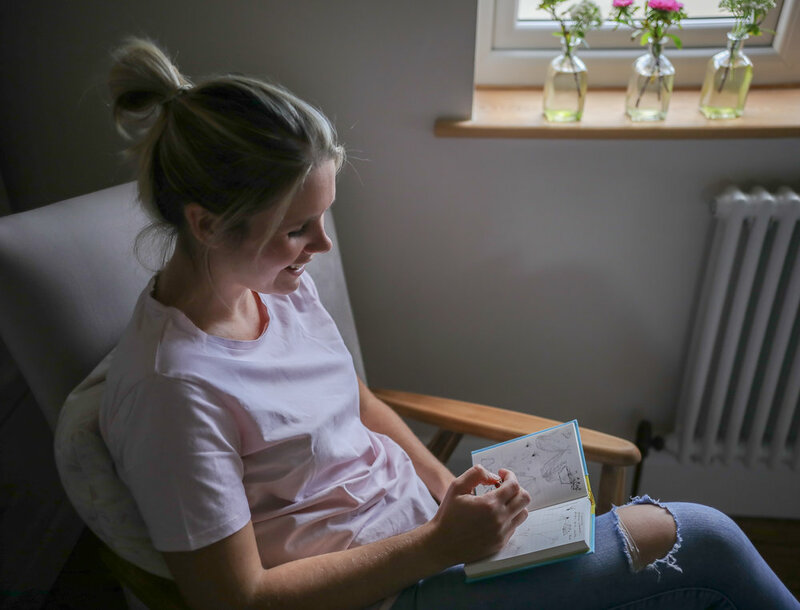 I look forward to telling you more about Kate's business and to show you the journey my illustrations will take from its first stage to completion. I will soon link to her website so will keep you posted. 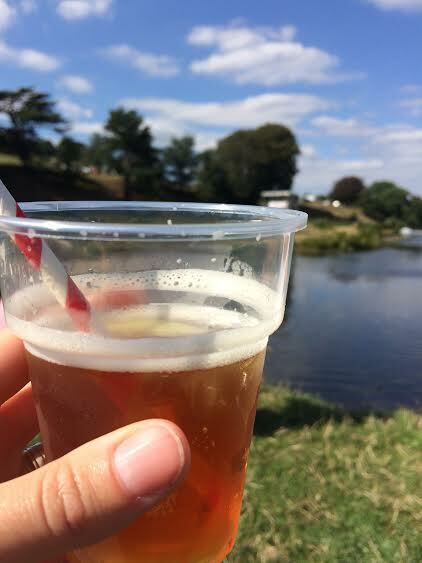 In June the Derbyshire hand picked guide was available to have as a reminder of all those lovely places to visit in our lovely county. For this addition Sweet Pea Designs features, another way to get in touch or visit my website. Earlier this summer the weathers been beautiful and we have been making the most of new Fathers day garden furniture, bbq's and being with friends and family. Days out too with picnics, walks and a spot of running for me getting fit for our summer holidays away. But first in May we went to the Hay Festival which was really inspiring and would highly recomend. Tony Hollinshead (author)and my (illustrations)book project is still in the pipe line. All finished and ready for the next stage so fingers crossed! 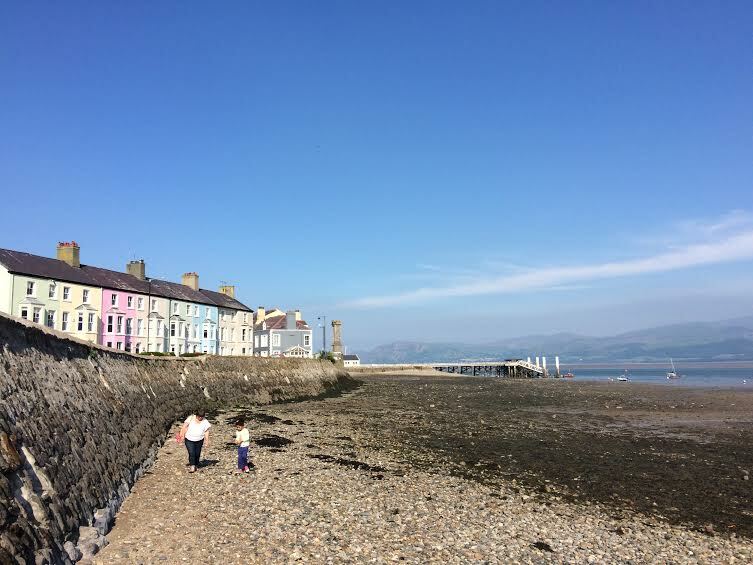 I have also taken a trip to Snowdon and it was great to have a few nights away to recharge, take time out and we popped to Beaumaris which is a place close to my heart from my childhood. So relaxing to sit and watch the boats in the sea bobbing along whilst feeling the sea breeze. I love the pastel colours of the houses on the sea front too always come away ready to be creative. Having had a few trips away I've been inspired to put more of the finishing touches together in our home. With so much inspiration around me things in our home are starting to feel complete. Enjoying Sweet Pea Designs dotted about too of course! My Mother's Day gift from the lovely Nicky, Joy Interiors. 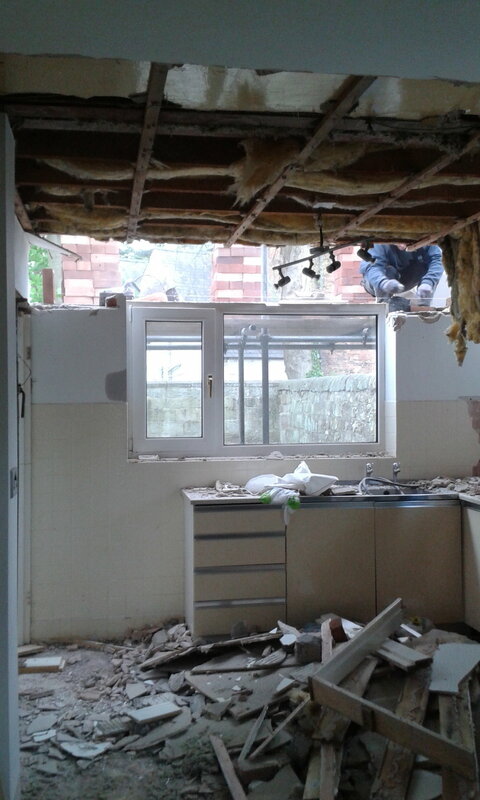 My next kitchen blind is on its way soon!! So as the summer has continued I have also been contacted by Becky, Styleboxe to design four new children's party wear ranges. I was blown away with the opportunity and can't wait to show you the ranges once they are finalised. Ive illustrated a young children's range, super heroes, princesses and unicorn. They are very much still in the early stages of development but once they are ready to purchase I will keep you updated and will also have a link to Styleboxe. Working with Becky has been fab and fingers crossed we will be collaborating again in the future. And so after handing over this fantastic project I've been working on, it was time for our family holiday. We were lucky enough to be invited to Paris to a wedding reception to start and then enjoyed a good break in Mallorca. This year more than ever we needed to re charge, re look at our future and put everything in perspective. And so I am enjoying the summer with my little family and know that 2017 still holds many exciting times ahead and I look forward to keeping you updated with Sweet Pea Designs developments. After a quick wiz on the sewing machine to transform my daughter into, 'Alpaca by Rosemary Billam' for World Book Day, swept away by Doris, preparation for the Spring Market at The Roundhouse, Derby everything was under way. Creating a mock up in my kitchen, putting together bespoke props, vintage pieces to reflect my love of the countryside and all that goes with it. And always a cup of tea by my side! I decided to block print my labels and other information, giving an overall fluid feel like the water colours. It all came together well and I was pleased with the results. Having had the unexpected news that my Dad had passed away the week before the event, I am now pleased I still attended. Debs the organiser was very kind as were lots of the other stall holders. My extremely supportive husband came with me too, helping to put the stand together. This is where the mock up in my kitchen really helped. I was able to look back at photos, adapt it a little but something I will deffinately do again and advise others too. The over all effect I accomplished and was pleased under the circumstances. The customers were very positive with their comments. Lots of great feed back and things for me to think about. New ideas, different events, stand ideas, what to change, what my customers liked and why. Which brings me to whats New for Sweet Pea Designs. I am in the process of designing the alphabet with each letter illustrated with an individual rabbit. I have started with my daughters name to give you an idea of how a collection would look. Here is a close up of the first letter. Once I have drawn the alphabet and numbers 1-10 I will be having them printed and they will be able to be purchased on my website. It's been an emotional Easter break in many ways. But with the support of my wonderful family and friends I'm getting through it. 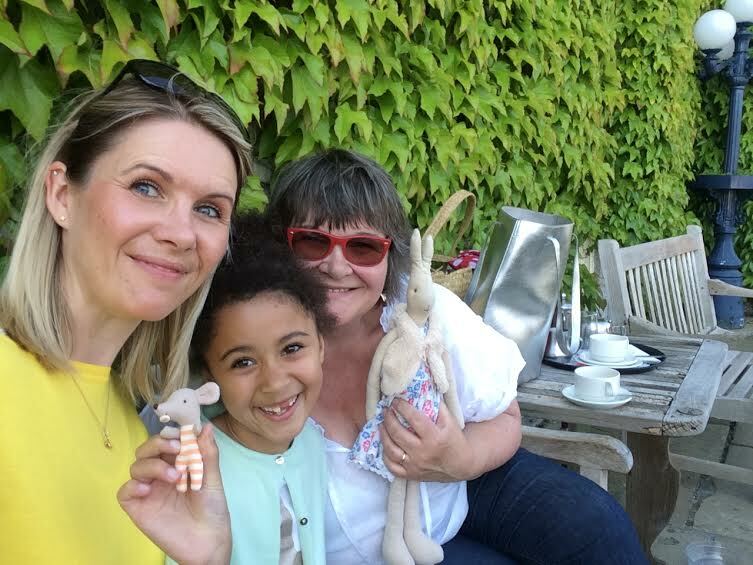 I've enjoyed local walks in the glorious sunshine, our first picnic to the National Trusts Kedleston Hall, the fab West Midland Safari Park and a traditional Easter hunt in the garden. 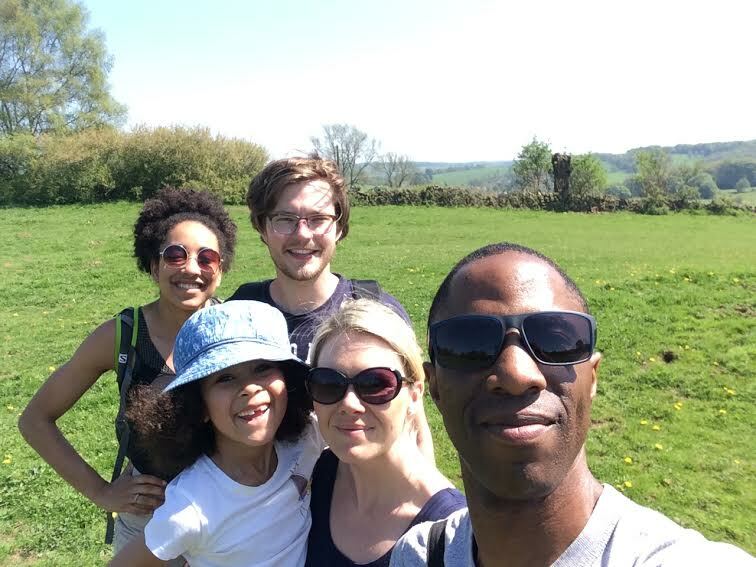 But this year Easter has been a particulary memorable one, as my brother with his wife and 14 month son (who we hadn't met before) arrived on Easter Sunday to be re united with us. Family is so very important to me and will always come first. Well, January ended on a high as it was my birthday. 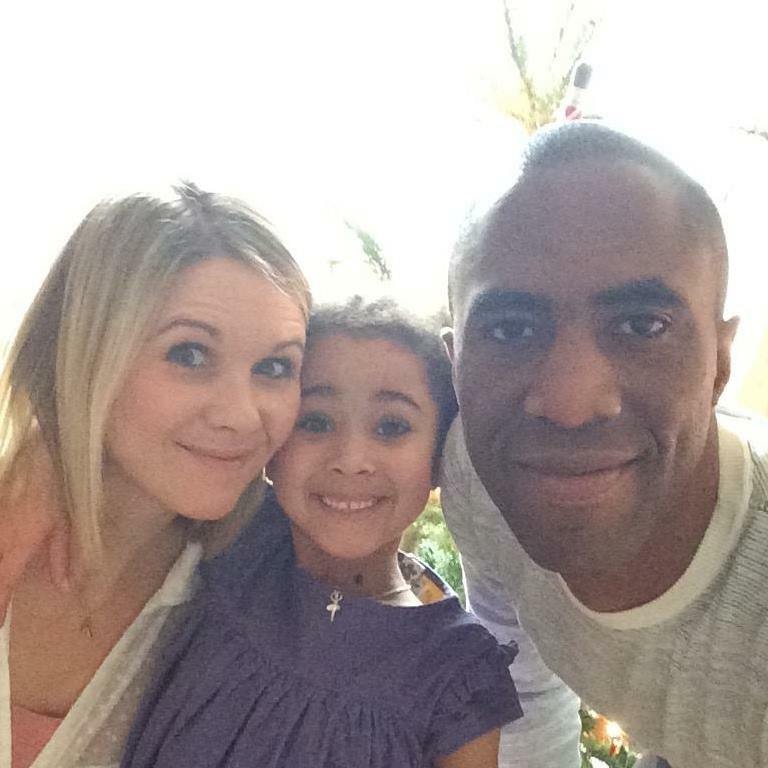 It was lovely to spend some quality time with my family and friends, I was spoilt to bits. And we are now creeping towards the end of February!!! Its been a productive month with my main focus on the Derbyshire Spring Market in March. Making sure my stand will live up to the quality I have enjoyed in the past. One exciting delivery arrived quite early, my sign! I wanted to make sure my logo is eye catching but also presented in a unique style. I can't give the game away but if you pop along to the event you'll see what I mean. I will post a few images on Instagram and my March blog after the show. I have been painting away and posting images of my work on social media. Showing you all what I have been up to and because of this I have had quite a few sales, particularly through Instagram. This black and white rabbit has sold to Ali Leja designs based in Georgia, USA. Im so over whelmed by the support I have received from everyone. I have continued with my walking and goal of getting fitter. Walking with my family every Sunday and started running again! There's nothing better than being out in the countryside, contemplating the week gone by and thoughts of whats to come, christening my new wellies was fun too in all the mud! My next commission came from Fife, Scotland. 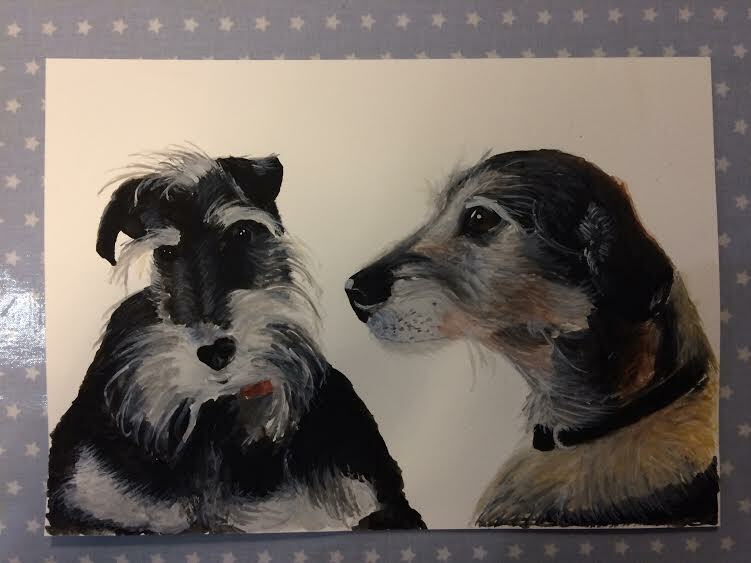 I was honoured to be asked to paint a gorgeous Flatcoated Retreiver that has passed away. A very special piece that would mean so much to the family I was painting it for. I had some lovely feedback and they were very pleased. 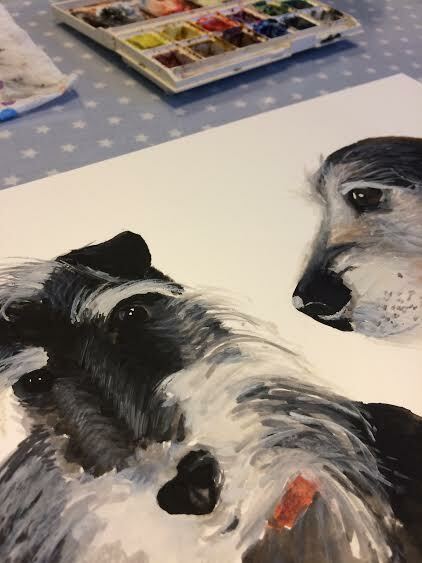 Commissions like these are so special to customers and such a privilege to paint. I do get a little nervous once they are all packaged up and ready to be sent in the post. But once the feedback is given and I know the customer is happy, I can rest! February also brought half term, a week I can enjoy with my little girl making rabbit biscuits, few days out, walks and being creative. Amongst this week I have been continuing with my illustrations and working on the scenes for the children's book I am collaborating on. My Monday teasers have been quite popular and I've had lots of positive feedback. From seeing both styles of my workI have been asked to design a business logo for a new customer. Its all very exciting and I look forward to sharing with you next month the results. There has been lots of preparation for the Spring Market at The Roundhouse, Derby. Painting crates, collecting items for the stand, jars for flowers and hoping my bulbs will be in full bloom in my terracotta pots!!!! My paintings are now being mounted and framed with hand stamped prices on luggage labels. I look forward to posting on social media in the last few weeks leading up to the event and images of my stand. So keep a look out, follow me on the journey and I will keep you all posted on new and exciting news for March. Well I hope you all had a wonderful Christmas and have re charged the batteries. I had a very relaxed festive holiday and have lots to tell you for the beginning of the year so far. 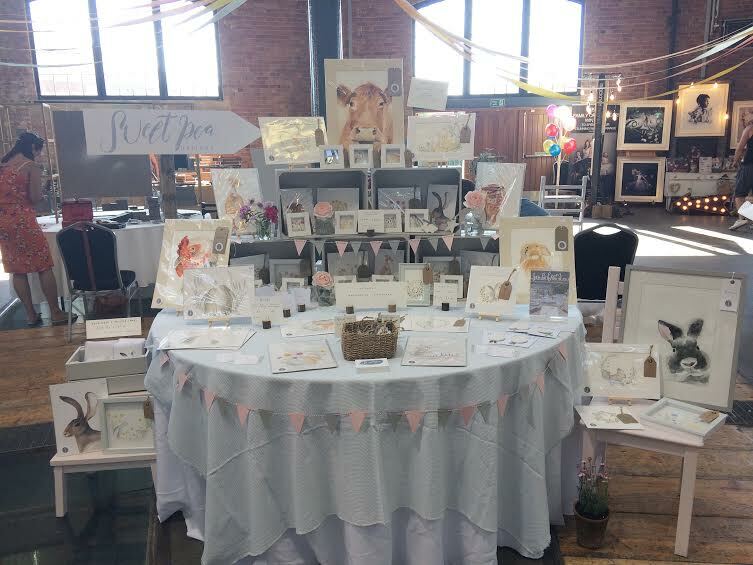 My main aim for this year for Sweet Pea Designs was to explore fairs and I am really pleased to announce I will be attending the Spring home, food and gift market, The Roundhouse, Derby. I will be amongst other stall holders such as Joy Interiors, Paper Cotton and Sally's Shed. The fair will be on the 19th March 10am - 4pm so pop along, I'd love to see you there. January has seen me exploring my lovely village for lots of walks, coming across so many beautiful horses, I'll have to paint one soon. The garden is showing signs of bulbs peeping through the soil already and indoors there in full bloom and smelling amazing. The website I'm delighted to say has had fantastic feedback and many views which I'm so pleased about. Christmas commission also have been received with many compliments and emails of them in situ. This piece was designed in my illustrative style for a Grandma capturing her four Grandsons and love of rabbits. I particularly liked Arthur here, nick named by the family as king Arthur, hence the sword and crown! My other exciting piece of news is that I am collaborating with The Country Shed, selling my original pieces through her website too. For carefully selected country inspired home and gift business to sell on the market place Steph has set up. I'm so grateful to have been asked and feedback already has overwhelmed me. With many more followers on Instagram and such lovely comments. Take a look at www.thecountryshed.co.uk I have two original pieces for sale a calf and runner duck. I hope your enjoying looking through my new website, I will be updating you on exciting new events for 2017.